Finding the right pillow for your spine to maintain the natural curve of your spine while you sleep can make the difference between feeling fatigued and pain in the morning, to waking up feeling rested and alert. Here are some tips for achieving a good night’s sleep by choosing a pillow to support your preferred sleeping position. 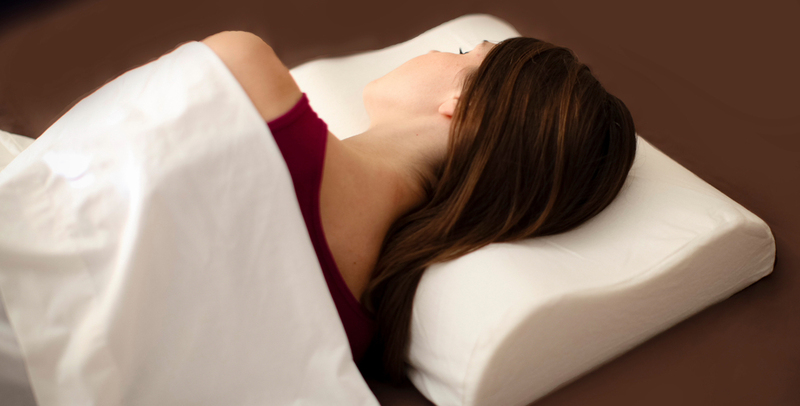 It is suggested that those who prefer sleeping on their back should select a memory foam pillow with substantial neck support, because it will mold to the neck’s curve. Placing a pillow underneath the knees is also recommended for people who sleep on their backs. It is also recommended that side sleepers place a pillow underneath their knees, as it improves spinal alignment. Look for a medium-to-firm pillow which will support the space under your neck while lying down. Being the least recommend position to sleep in, as it can place extra stress on the lower back and causes neck pain, sleeping on your stomach can lead to harmful long term pain. Replicate the feeling of sleeping on your tummy sleeping with a giant body pillow in front of you.